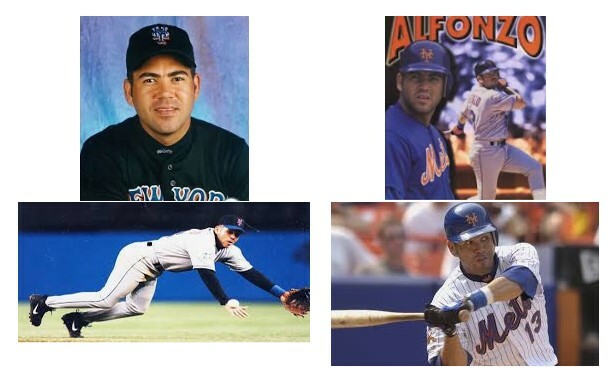 We are excited to have special guest, Edgardo Alfonzo, throwing out the first pitch and signing autographs to open our Little League season. Fonzie spent most of his 12 year career with the New York Mets at second and third base, played in the 2000 World Series and also represented the Mets in the MLB All-Star game. He ranks 3rd in franchise history in hits, fifth in RBI’s, and is the All-time Mets leader in postseason hits. Alfonzo is currently the manager of the Brooklyn Cyclones. New this year will be Belgian waffles, hot chocolate, and coffee from Wafels & Dinges and a parade for our Kindergarten-2nd grade teams. Those who purchased Yankees or Mets tickets should plan to pick them up at the field before the ceremony. The ceremony will start promptly at 8:30am and last approximately 30 minutes, and we encourage everyone to arrive early since parking is limited. Please note that games this Saturday in Atlantic and 1st grade will start at 10am as opposed to their normal 9am start. All games on April 6th will start one hour later than normal. We have partnered with prepsportswear to create a web based clothing line for Scarsdale Little League. More information can be found on the tab but shirts, hoodies, jackets, hats, etc. for all ages are available with many different styles. The list of designs is expanding daily. Click HERE to purchase. Spread the word and make sure to get something for everyone.